NEW DELHI/ SHILLONG: The Supreme Court on Tuesday directed the Kolkata Police Commissioner, Rajeev Kumar, to appear before the Central Bureau of Investigation (CBI) in Shillong, a neutral place. “Go to Shillong. It is a cool place. Both sides will remain cool there,” observed the Supreme Court in a lighter vein while accepting the request of the CBI that Kumar be directed to join investigation in connection with Saradha scam at a neutral place. The remark was made by Chief Justice Ranjan Gogoi after passing the order in which a bench headed by him said that Kumar has to make himself available before the CBI for investigation. Sources said that CBI in Meghalaya is yet to receive the order of the Supreme Court adding that the entire process of bringing Kumar to Shillong and questioning him might take one-two weeks. They also said CBI officials from West Bengal would question Kumar here in the presence of the local officers. In Supreme Court, after the bench, also comprising Justices Deepak Gupta and Sanjeev Khanna, had almost completed the dictation of the order, Attorney General K K Venugopal raised the issue of neutral place. 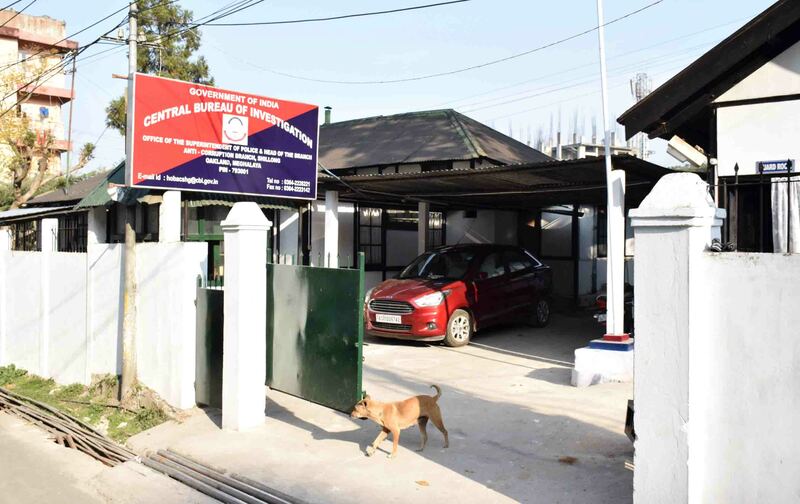 “To avoid all unnecessary controversy, we direct the Commissioner of Police to appear before the investigating agency in Shillong, Meghalaya, on such date(s) as may be fixed,” the bench said in its order. This came after the central investigative agency filed a plea in the apex court against the police commissioner, alleging destruction of electronic evidence related to the Saradha chit fund scam case. The bench also observed that Kumar can’t be arrested at this point of time. The court will hear the case next on February 20. The Attorney General submitted that there was a serious breakdown of law and order in West Bengal. While observing that there is “no reason why he (Kumar) will not make himself available for the investigation,” a bench headed by Chief Justice Ranjan Gogoi said, “We make it clear that no coercive steps including arrest shall be taken against the Commissioner of Police”. “We will examine whether there is commission of contempt or not. We have to examine. The other side has to be heard,” the bench observed. During the hearing, which lasted for about 15 minutes, Venugopal and Mehta alleged that Kumar was not cooperating in the investigation of the chit fund cases which was handed over to the CBI by the Supreme Court. However, senior advocate A M Singhvi opposed the CBI, saying it is an attempt to harass and humiliate the Kolkata Police commissioner and was meant to score points as the Sunday events took place two days after a political rally in the state. Candidates of various political parties file nominations at the DC office as their supporters wait on the main road causing traffic snarl in the city on Tuesday.